Israeli occupation forces stormed Tuesday at down the occupied West Bank cities of Jenin and Hebron, clashes erupted with Palestinian citizens. 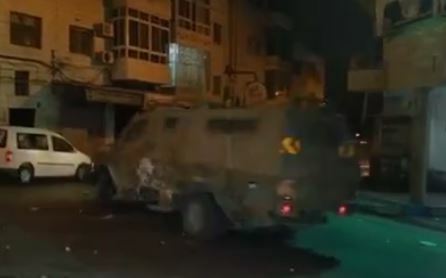 In Jenin, local Palestinian sources said that the forces stormed Burqin town, deployed in the neighborhood of Agabriat and the city main street ''Haifa'' and fired tear gas and sound grenades at the citizens, several injuries were reported. They also raided the towns of Kafr Qud and K'feret. In Hebron, Israeli troops stormed 'As Samu' town and broke into the home of the citizen Ismail Hawamda trying to detain him. The occupation forces deployed in and carried out a broad search operation in the vicinity of the Beit Awwa town, west of Hebron. The forces stormed the town of Kharsa and deployed in its main street, the witnesses added. In the same context, locals said that Israeli forces raided al-Hasaka neighborhood in the southern Hebron and surrounded the home of Palestinian lawyer Rajab Dandes threatening him of demolishing his home. Israel scaled back a search for three missing teenagers in the occupied West Bank on Tuesday after 11 days of operations raised fears of a general uprising and undermined Palestinian President Mahmoud Abbas. Israel has accused Abbas's political rivals, the Islamist group Hamas, of orchestrating the abduction of the Jewish youths on June 12. It has launched a massive crackdown in its search for the trio, which has so far failed to find any trace of them. Up to six Palestinians have died as a result of the military sweep, locals say, and some 355 people have been arrested. A senior United Nations official cautioned on Monday the army action risked provoking a revolt, while Palestinians in the West Bank have turned on Abbas for offering to help Israel find those behind the kidnapping. With the Muslim holy month of Ramadan set to start on Saturday, an Israeli government official said members of Prime Minister Benjamin Netanyahu's security cabinet had expressed concern that events could "escalate out of control". Growing international criticism about the impact on ordinary Palestinians has also been taken into account, he said. "Following this, a decision was made to significantly narrow the operation and focus it on pinpoint actions to return the abductees," said the official, who declined to be named. Signalling the change in policy, the Israeli military said on Tuesday that only four Palestinians had been arrested during overnight operations compared with 37 the day before. Hamas has declined to deny or acknowledge responsibility for snatching the youths, who vanished while hitchhiking near a Jewish settlement, although it has praised the kidnapping. Abbas himself denounced those behind the abduction and promised to work with Israel to locate the missing teenagers. Many Palestinians reacted angrily to Abbas's stance, seeing it as a sign of weakness in the face of the Israeli occupation. Locals clashed with his security forces in central Ramallah on Sunday, while social media were filled with images of glum policemen watching from a balcony in the city of Hebron as dozens of Israeli soldiers took charge of the streets below. The Palestinian Authority has self-rule in the major West Bank cities, but the Israeli crackdown has shown the limited scope of its powers, with soldiers carrying out searches and raids just one block from Abbas's own house in Ramallah. "The Palestinian anger is growing and no-one knows where it will end," said Hazem Abu Hilal, a political activist who has taken part in a number of Ramallah rallies to protest against ongoing security coordination with Israel. The abduction came two months after the collapse of U.S.-led peace talks between Israel and the Palestinians - the latest in a long line of failed efforts to secure a negotiated end to the generations-old conflict. It also came fast on the heels of a deal signed by Abbas's Fatah faction and Hamas to overcome seven years of ferocious feuding, opening the way for the formation of a unity government earlier this month. The future of that administration is now in doubt. With Israel promising to show more restraint in its operations, political analyst Hani Al-Masri said Abbas and his Palestinian Authority needed to show his people that they were confronting the Israeli occupation, not aiding it. "The Authority cannot play two games at a time, maintaining security coordination (with Israel) and defending the people," Masri said. "It has to choose to defend its people and chase Israel through diplomatic means at the United Nations. If it does not do that, it will fall," he added. 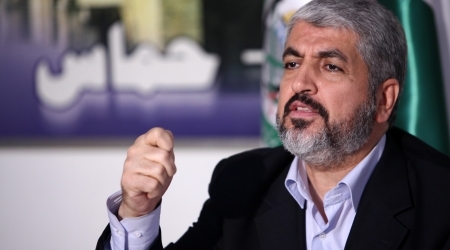 Leader of Hamas political bureau, Khaled Meshal, said that Hamas has no information about the disappearance of three Israeli soldiers 11 days ago near Hebron in the southern West Bank. In an interview with Al Jazeera television on Monday, Meshal said that Hamas has no information about the missing soldiers. The movement has nothing to prove or disprove about the missing soldiers. He emphasized the right of Palestinians to free the detainees in Israeli prisons and that the occupation must pay the price for Palestinian suffering. "The Israeli occupation does not need any justification to escalate their aggression against Palestinians. I rule out the possibility that their disappearance is an Israeli fabrication," he said. He told the families of the three missing soldiers that "Netanyahu is ignoring the suffering of Palestinian people and prisoners. He is the reason behind your sons' loss. Meshal denied the Israeli accusations that he gave the green light for any group to detain the Israelis. "The resistance knows its duty, and it does not wait for instructions to move", he added. Denouncing the U.S biased Israel position, he emphasized that Israeli threats don’t frighten Hamas. He pointed out that the Palestinian national reconciliation agreement stressed the importance to work to release prisoners as a sacred national duty, and the right to use any means necessary to achieve their liberation. He called on the Palestinian leadership to study and discuss an appropriate response to the ongoing Israeli aggressions against the Palestinian people. Mashal said that the international community holds the responsibility of the continued Israeli aggressions against Palestinians and its repressive policies, pointing out that all delegations, he received, emphasized the justice of Palestinian cause. 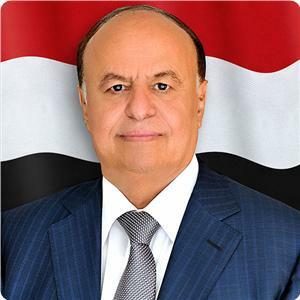 Yemeni president Abed Rabbo Hadi strongly denounced Israel's aggression against the Palestinian people and renewed his country's support for the Palestinian struggle against the occupation. This came during a telephone conversation on Monday between president Hadi and head of Hamas's political bureau Khaled Mashaal. According to an informed Yemeni source, the Yemeni president urged Mashaal to work on uniting the internal front and positions in order for the Palestinian people to be able to restore their usurped rights. Hadi also said that the Yemeni people and their leadership would always be supportive of the Palestinian people and their right to self-determination and an independent state in accordance with the international resolutions issued in this regard. For his part, Mashaal briefed the president on the situation in the occupied Palestinian territories and the Gaza Strip, and Israel's violations against the Palestinians. The Hamas official called for developing a unified and firm Arab stance at the international level supporting the victimized Palestinians, who are considered the only people in the world under occupation. Israeli soldiers kidnapped three Palestinians in the West Bank district of Bethlehem, shot and injured two more Palestinians. Palestinian security sources said the army invaded Harmala village, east of Bethlehem, broke into and violently searched several homes, and kidnapped two Palestinians. The two have been identified as Naji Ali Atallah, 35, and Bassam Ibrahim az-Zeer, 32. 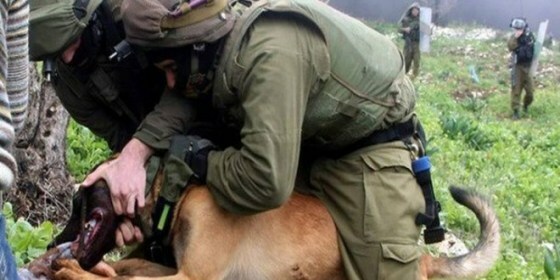 Dozens of soldiers also invaded the al-‘Azza refugee camp, north of Bethlehem, searched and ransacked dozens of homes, while one Palestinian was mauled by army dogs that attacked him, as the soldiers searched his property. The wounded Palestinian, identified as Khalil Kayed an-Nashash, was moved to the Beit Jala governmental hospital, suffering moderate injuries. In related news, soldiers invaded Aida refugee camp, north of Bethlehem, also searched several homes, and kidnapped a Palestinian identified as Hussein Saleh Abu Aker, 25. Furthermore, soldiers invaded Arraba town, south of the northern west Bank city of Jenin, kidnapped one Palestinian, and stole large sums of cash. The WAFA News Agency has reported that dozens of soldiers invaded the town, and broke into the home of Mustafa Sheebany, before kidnapping his brother Najeeb. The soldiers violently searched the property, causing excessive property damage, and stole 5000NIS, WAFA added. On Monday evening, soldiers invaded Nahhalin village, west of Bethlehem, and kidnapped one Palestinian identified as Issa Abu ‘Ahour, 22. Local sources said more than 150 soldiers invaded the village, and searched dozens of homes, causing excessive property damage. The village has been subject to daily invasions, while dozens of homes have been searched, and ransacked, before the soldiers confiscated tapes of several surveillance cameras owned by the residents. Palestinian medical sources have reported that two Palestinians were wounded after a number of settlers chased their car, and threw a gas bomb at it, near the central West Bank city of Ramallah. Local sources said the attack took place near Deir Bzei’ village, west of Ramallah. 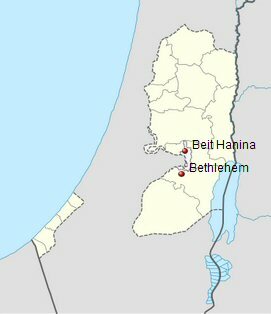 The settlers came from a nearby illegal Israeli settlement. The sources said that a settler’s car chased a Palestinian car on a joint road, used by Israeli settlers, and also leads to a number of Palestinian villages and towns, west of Ramallah, before a settler threw a gas bomb at the car. Medical sources said the bomb appears to contain ingredients that target the nervous system, causing symptoms similar to paralysis. Barely able to move and speak, the two wounded Palestinians told Israeli soldiers, at a nearby roadblock, that the settlers have attacked them, and even identified the vehicle, as it was parked nearby the roadblock. The soldiers did not listen to the complaining Palestinians, and pushed them away after threatening to kidnap them. 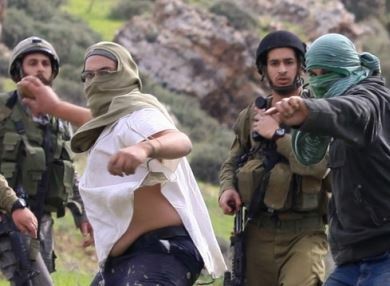 On Monday, a number of settlers fired rounds of live ammunition at eight Palestinian workers, near al-Mazra’a al-Gharbiyya village, north of Ramallah, and fled the scene. The Palestinian managed to escape unharmed. Israeli soldiers invaded various Palestinian communities, in the northern West Bank district of Nablus, detained dozens of Palestinians, and kidnapped two. 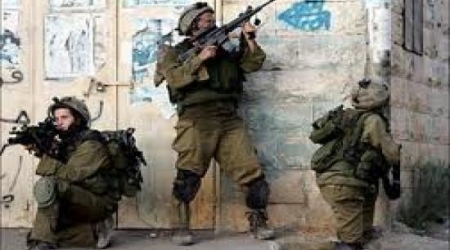 Eyewitnesses said the army invaded Tal village, west of Nablus, and searched several homes, and orchards. The soldiers caused excessive property damage while searching the homes, and detained several Palestinians, before kidnaping a college student, identified as Nimir al-Hindi. The army also invaded Madama village, south of Nablus, detained more than fifty Palestinians, and interrogated them in the center of village, before kidnapping one. Local sources said the soldiers searched dozens of homes, and withdrew from the village during early morning hours. The Palestinian Prisoners Society (PPS) has reported that Israeli soldiers have kidnapped 529 Palestinians, during daily invasions and assaults, since three Israeli settlers went missing ten days ago. In a Sunday report by the Palestinian Center for Human Rights, the center said Israeli soldiers shot and killed four Palestinians in the last ten days. Two of them were killed Sunday. Israeli forces raided a currency exchange shop today, in Bethlehem, where they confiscated surveillance cameras, according to a security source. Late last night, Israeli 'price tag' vandals slashed the tires of nine cars and a lorry just north of Jerusalem, in the town of Beit Hanina. At dawn, forces stormed the exchange shop located on Nativity Street, in Bethlehem, blowing up its door and thoroughly ransacking it before confiscating surveillance cameras. 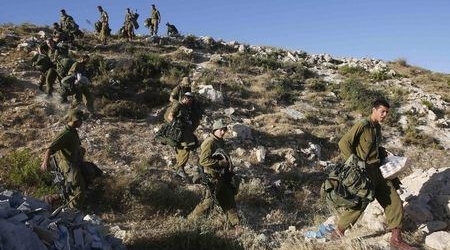 WAFA Palestinian News & Info Agency reports that, as part of the large-scale "search" operations to allegedly find the three missing settlers for what is now the eleventh consecutive day, Israeli forces have raided several West Bank cities, village and towns, with a focus on Hebron governorates. Over 500 Palestinians have been detained, including 11 parliamentarians, and members of targeted charities, universities and media outlets. Israeli forces have killed several Palestinians during the campaign, including two men who were shot dead on Sunday. In nearby Beit Hanina, north of Jerusalem, surveillance cameras have revealed that three individuals from a nearby settlement slashed the tires of 9 Palestinian-owned cars and a lorry, in addition to spraying racist anti-Arab graffiti in the area. The group has conducted dozens of similar attacks during the past two years.